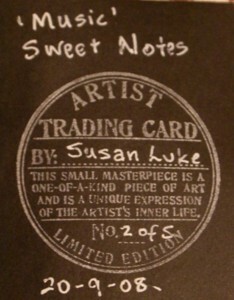 "Artist Trading Cards (ATCs) are miniature works of art about the same size as baseball cards and thin enough to fit inside standard card-collector pockets, sleeves or sheets. The ... movement developed out of the mail art movement and has its origin in Switzerland. The cards are usually traded or exchanged rather than sold". 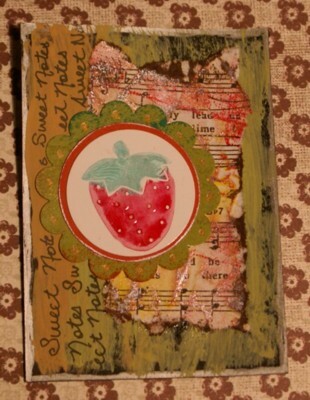 You know, you can use ATCs as your main image on handmade cards too. 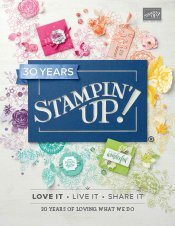 The cards made above were made with retired Stampin' Up! products. They were part of a series I made for a swap many years ago. They need to be the size of a baseball card, or 2.5" X 3.5" (64 X 89mm). This is practically the only hard and fast rule. It doesn't matter if you orient your artwork as landscape or portrait, as long as it is made with care and is the right size. If you are an Artist Trading Card Artist, beginner or expert or anywhere in between, I would love to see some of your work. Just scroll down to the bottom of this page to find a place where you can upload a picture and tell me something about your way of making them. These cards are usually not sold but traded between artists. 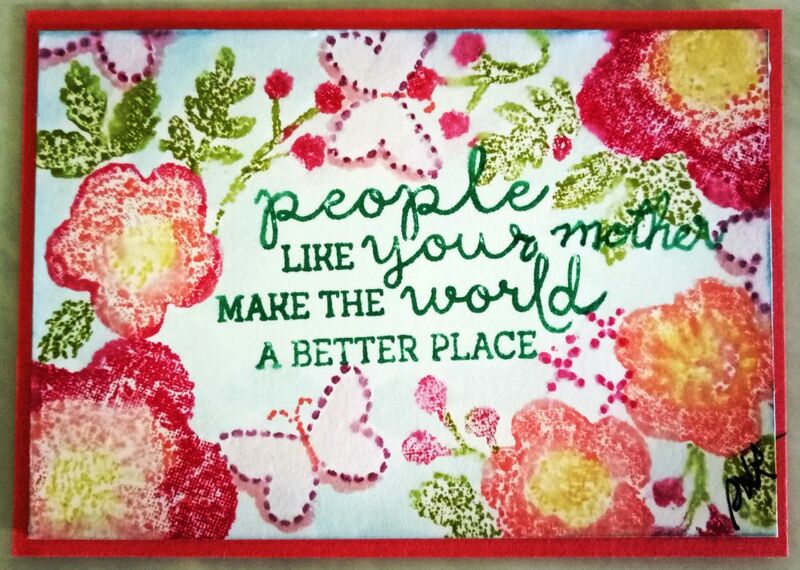 This can be done in person such as at conventions or even at casual meetings between crafters, but these days it is also common to trade with people you get to know on the Internet in organised swaps. The idea is to make an original piece of artwork. Often there will only be one of a kind. If there is only one card made in a particular way, it is called an original. If you make sets of identical artwork, that is called an edition and you need to number each card in the edition, (1/10, 2/10 etc). You should also number those that have been made in a usually limited series where you have made a number of different cards based on a theme. Date made, artist name and contact details. Many cards have a title as swap coordinators often set themes for each series of swaps. For example, you may be asked to create a series with faces on them, or one about old time actors, or contemporary singers, or about a mood or emotion like love. The themes for making Artist Trading Cards are endless. That's one of the things that makes them so interesting to make. As well as including the edition or series or theme information, people who make these little cards usually sign and date the back. You can purchase special rubber stamps that you can use to put on the back of your cards with your contact detail, but just writing your details is also fine. Some people include their email addresses or postal addresses or their blog URL. If you are mailing your artwork, you can purchase little plastic sleeves to slip them into and protect what you have made. 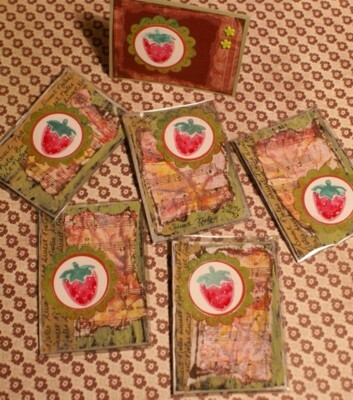 People who collect baseball cards use similar plastic sleeves. Or you can make your own envelopes or wrappers for them. Professional artists sometimes make these little cards to use as their own business cards and write something about themselves and their work on the back. Once given out, their artwork is immediately in someone's hands this way. Make one card a day for a year (or one card a week) about what is going on in your life and you will have a unique album that diarises what happened that year. 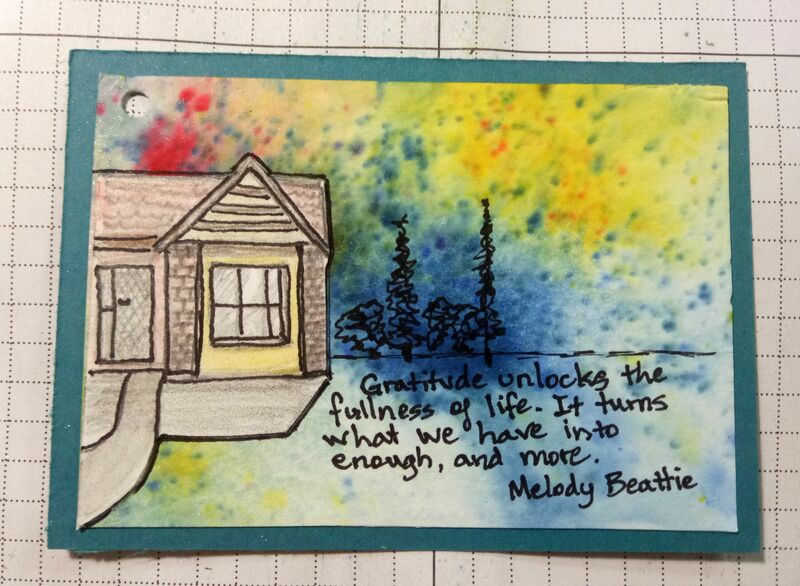 I hope you give ATCs a go and have a wonderful time creating and sharing. You can really widen your circle of crafting friends this way AND gain a source of wonderful inspiration for your art work. Try out the Peeling Paint technique and be warned - you will need to prepared to get down and get messy with your supplies! Ooo, la la! Parisian ATCs! A great forum that organises regular challenges and swaps is Rubberstampchat. See if you like what is happening there and join in, especially if you are a resident of the USA. A Facebook Group called Artist Trading Cards by Hand is a fun group to start swapping and playing in. I think I need to spend more time making these little treasures. This year, I am planning to make one a week. I'll add them slowly as I make them so you can see the different ones. Why not join me in making some too? I'll add a grid of all my ATCs for 2019 below. Weeks one and two are uploaded. Want to know more about PaperCraftCentral Susan?